Earning extra money from home nowadays is fairly easy. All you require is a good computer with a reliable and high-speed Internet connection. Indeed, millions of people worldwide earn a lot of money by doing simple yet well-paid jobs from home. However, to earn considerable money, the job you take online has to match your skills or talent. Further, the money you earn from home is directly proportional to the time and effort you put in daily. 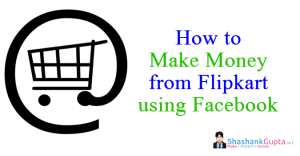 There are many ways to make extra cash online. These include completing paid online surveys or writing reviews for products before they are commercially launched, etc. You can earn some money from them but these payouts will not make you rich. Therefore, here we look at top 10 online jobs that you can perform in your spare hours and make extra money from home. This is the most rewarding online job that a student or professional can take. For example, social media managers in the US earn as high as US$ 15 per hour. This job is ideal for anyone who loves to spend time on Facebook, Twitter and LinkedIn, etc. As a social media manager, you will be in charge of Facebook Business and Twitter accounts of an employer. You have to post content provided by the employer on their Facebook page and send Tweets to their followers. Additionally, you have to respond to positive comments and deal deftly with negative feedback. With social media becoming a vital digital marketing tool for companies small and large, there is no dearth of such jobs. Additionally, social media needs to be monitored 24/7 for companies. Hence, you can work during free time. Financial institutions, healthcare providers, online retailers and motley other businesses are increasingly worried about the security of their computer systems and websites. While they have sophisticated systems to prevent hacking or Denial of Service (DOS) attacks on their systems, cyber criminals are finding newer ways to wrench money out from legitimate businesses. One of them is by spreading ransomware. A classic example of ransomware attack was WannaCry in May 2017. To prevent such attacks, companies nowadays also outsource part of their cyber security to IT experts who are qualified and experienced in this field. If you possess the relevant expertise, offer your services as an online cyber security expert to any of these companies. Cyber security experts also make good money by working off their regular hours. As a qualified and experienced cyber security expert, you can earn as high as US$ 20 per hour. If you have an expert level fluency in English and any other major foreign language, offer services as an online translator for some business establishments. As companies look at expanding operations abroad or advertise products to a niche ethnic group, they look for people who can translate official documents, public notices, legal advisories and host of other stuff from English to a foreign language and vice versa. You can make more money as an online translator by providing services such as real-time translations of video conferences between officials of a company and their foreign associates abroad. Giving sub-titles to videos made by companies as advertisements also helps to earn more money. Nowadays, it is easy to find a job with various companies that offer transcriptions to different businesses. There are different types of transcriptions. Most common among these are medical transcriptions followed by legal, financial and technical. Once enrolled with a transcription provider, you will be provided raw data in the form of audio feeds or notes taken on paper. As a transcriptionist, your job involves sifting through the raw data and making concise notes of everything important that was said during a conversation or a meeting. These can include talks between physician and a patient, discussions in a surgery room, chatter between Emergency Medical Services providers with cops and fire department crew, chat between attorney and client, discussions over financial matters in a company meeting or bank or conversations between engineers. For people with a nose for news or basic qualifications in journalism, the job of an online editor provides an excellent avenue to make extra money. Almost every major news organization in the world has a website. As an online editor, your job involves reading a wide range of news coming from various sources such as newswires, correspondents and reporters. The news and related images have to be edited to suit the news organization’s style guide, made concise according to specifications of the employer and posted immediately on the website. The faster you get news online on your employer’s website, the better your chances of retaining the job. Since news networks work round the clock, they often outsource this function to freelancers. Companies make videos for various purposes from advertising to in-house training programs. These videos are often amateurish and need professional editing that makes them more interesting to viewers. Additionally, there are millions of YouTube channels launched by amateurs as a hobby or with the aim of making some money through online advertisements. Online video editor’s job involves watching these videos and trimming unwanted or unnecessary content. You also need to blank out anything that may be deemed as objectionable. Further, you need to condense the video to fit into a specific time frame. If you possess the required skills and necessary software, sign up for video editor’s job at any good freelancing/ part time job website. 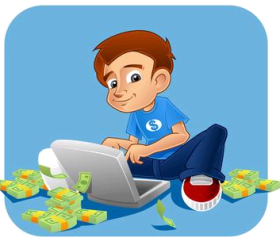 There are two methods by which you can earn money online in spare time as an online tutor. The first one involves setting up your own online training academy, advertising your skills and soliciting trainees. The second, and the easiest one is by offering services as an online tutor for countless universities and educational institutes that offer remote coaching or blended training through the Internet. By working as an online tutor for a reputed academy in sports or education, you are entitled to a fixed weekly or monthly income. Alternatively, you can charge fees per session or number of students you will coach online. Since fees have already been collected by the institution, they are in a better position to offer you an assured amount of money, compared with students who may drop out for a paucity of funds. The trend of micro-tasking is gaining popularity worldwide for many reasons. Firstly, it eliminates the need to hire full-time staff for small and irregular work. Secondly, outsourcing the job from a freelancer makes it faster. Thirdly, the price in real estate has forced businesses to trim office space. As a micro-tasking associate, you will be provided drafts of advertisements, notices, news articles, greeting messages, visiting cards, stationery and other material. Your job is to proofread this material to detect any spelling mistakes, typographic errors, wrong punctuation and incorrect grammar. These errors have to be corrected and returned to your employer along with the original versions, for comparison of your work. Micro-tasking services are required by printing presses, news networks, advertising agencies and several other businesses. Amazon mTurk provides the best jobs online for college students which are helpful for their pocket money. Global online retail giant Amazon requires freelancers to perform a variety of tasks for its own website as well as advertisements posted by registered sellers. Amazon mTurk offers part-time work in data entry jobs, data management which includes detecting duplicate images, incorrect product information, wrong or poor quality images and many other functions. Amazon mTurk jobs are not fixed employment. There is a waiting list that runs into millions since people worldwide wish to make money from this service. However, you can apply for a part-time job at Amazon mTurk. This is a freelance job and can be performed from home provided you adhere to strict deadlines. Innumerable websites now offer freelance and part-time jobs through crowd sourcing. This means a company hands over its projects to a group of experts drawn from various locations. These projects are given to crowd sourcing platforms, who will enlist your services as well as those of other experts in the field. Crowd sourcing projects involve graphic designing, engineering drawings, creating project report, compiling financial data, creating cyber security and IT solutions including software and many others. Since you will work with a team from diverse cultures and expertise, you own skills play a vital role while working on a crowd sourced project. Pay scales for online jobs from home differ with geographic locations. In some countries, receiving money from abroad for work done for foreign clients can attract heavy taxes. In others, it is simply banned. Before you embark on any venture to make extra money online, ensure the tasks you complete do not conflict with the laws of your country. Since there is intense competition for all online jobs that help make extra money, you need to possess exceptional talents in any given field. Offer multiple skills to ensure your services remain in demand for better part of the year. With some dexterity, you too can make extra money through online jobs in spare time.